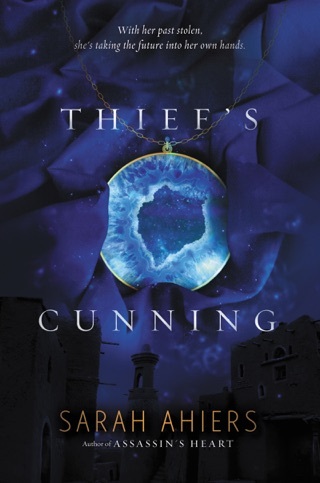 With shades of Game of Thrones and Romeo and Juliet, this richly imagined fantasy from debut author Sarah Ahiers is a tale of love, lies, and vengeance. Fans of Kristin Cashore and Rae Carson will devour the flawlessly crafted action and inventive world building. Seventeen-year-old Lea Saldana is a trained assassin. She was born into one of the nine clipper Families in the kingdom of Lovero who lawfully take lives for a price. As a member of the highest-ranking clan, loyalty to Family is valued above all, but that doesn't stop Lea from getting into a secret relationship with Val Da Via, a boy from a rival clan. Despite her better judgment, Lea has fallen in love with him; but she's confident she can anticipate any threat a mile away. Then she awakens one night to a house full of smoke. Although she narrowly escapes, she isn't able to save her Family as their home is consumed by flames. With horror, she realizes that Val and his Family are the only ones who could be responsible. Devastated over his betrayal and the loss of her clan, there's just one thing on her mind: making the Da Vias pay. The heart of this assassin craves revenge. A young assassin seeks vengeance for the slaughter of her family in Ahiers's menacing, magic-laced debut. In Lovero, murder is legal if committed by a "clipper" of one of the controlling families, who kill in the name of the goddess Safraella. Seventeen-year-old Oleander "Lea" Saldana is an assassin for her powerful family, and she's in a forbidden relationship with Valentino "Val" Da Via, an assassin for a rival family. One night, Lea's family is killed by the Da Vias in a bid for power, and Lea must reevaluate everything she knows about Val. Grief-stricken at the betrayal and set on revenge, she pleads for help from the king; at his refusal she sets off across the dead plains, hoping to find her exiled Uncle Marcello. She soon meets an aspiring clipper named Les, who turns her plans, and her heart, upside down. 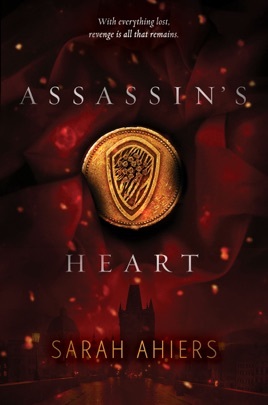 Ahiers's Romeo and Juliet inspired world of gods, angry ghosts, and assassins is darkly lush, and Lea's voice is strong and pragmatic, making for a stylish and rich read. Ages 14 up.